On 2 April 2015, the people of Thailand celebrates the 5th cycle or 60th birthday of our very own "people's Princess." 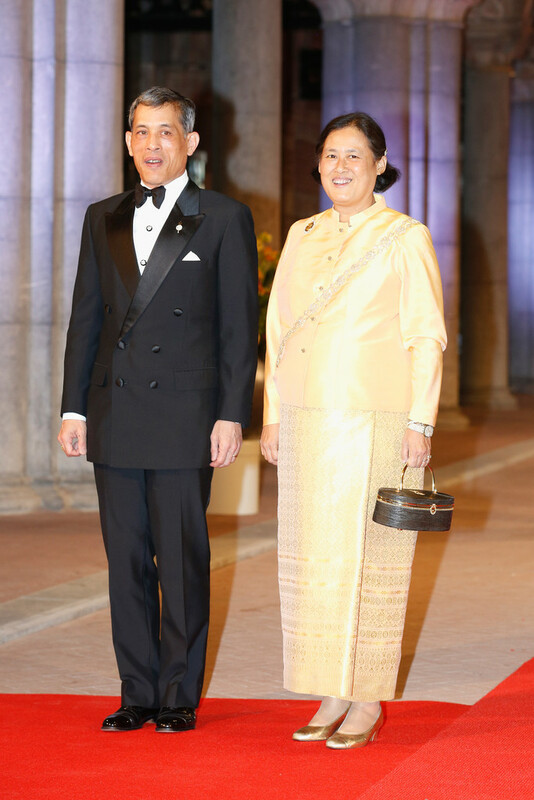 As one of Thailand's most popular Royal, the Princess continues to lead a very public and high profile life attending all kinds of functions in Thailand as well as representing Their Majesties the King and Queen abroad. Her tireless work for the betterment of the Kingdom's population and attending religious ceremonies to carry on Thailand's old heritage, as well as charities, opening ceremonies and giving out university degrees has put her in the hearts of the majority of the Thai population. Her above-politics stance in times of political instability has also made her the perfect example of a Royal under Constitutional Monarchy. We celebrate her important birthday with a tribute to a truly hard-working member of the Royal Family. 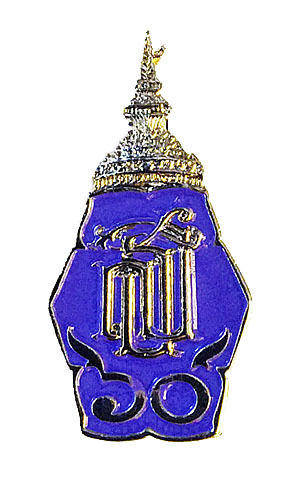 Thailand is known for creating special emblems and pins to celebrate a milestone of a member of the Royal Family. 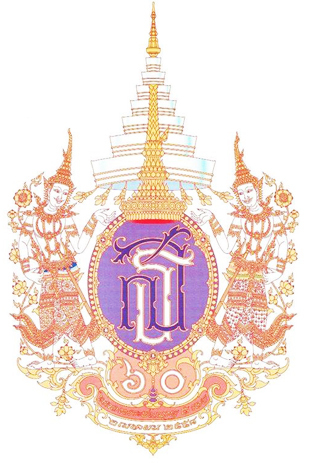 Normally, we would see all the diferent milestones of His Majesty the King, whether it be celebrating his 50th year on the throne or his 80th birthday, and one time for Her Majesty the Queen; her 60th birthday. 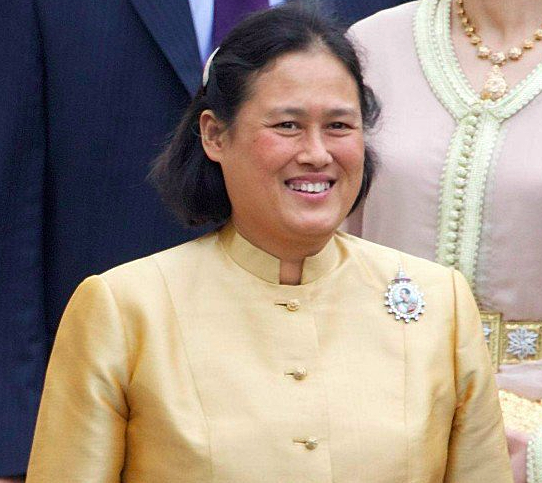 This time, we celebrate the 60th birthday of Princess Maha Chakri Sirindhorn, which is equivalent to the 5th birthday cycle of 12 years, an important milestone for the Thai people. At left is the Royal Celebratory Emblem, and at right is the Celebratory Pin, with purple as the main colour being HRH's birth colour. 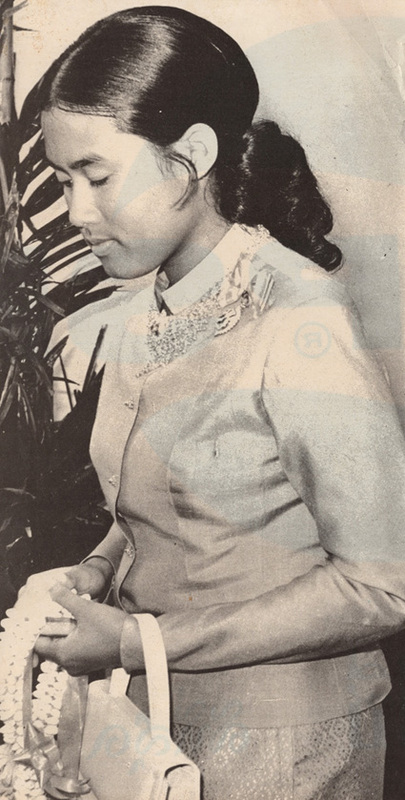 Her Royal Highness was born Princess Sirindhorn, third child and second daughter of King Bhumibol and Queen Sirikit on 2 April 1955. She received her early education from Chitralada School in the palace compound where she excelled at all her studies. She earned a Bachelor of Arts in History (First Class Honour, Gold Medal) from Chulalongkorn University in 1976, and a Master of Arts in Oriental Epigraphy (Sanskrit and Cambodian) from Silpakorn University in 1978. She earned an additional Master of Arts in Pali and Sanskrit from Chulalongkorn University in 1980. 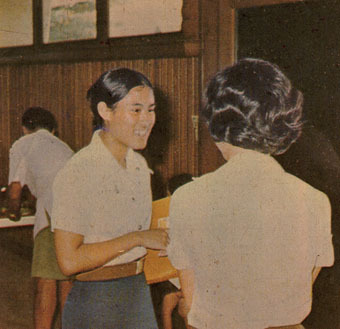 She later earned a PhD in educational development from Srinakarinwirot University in 1986. 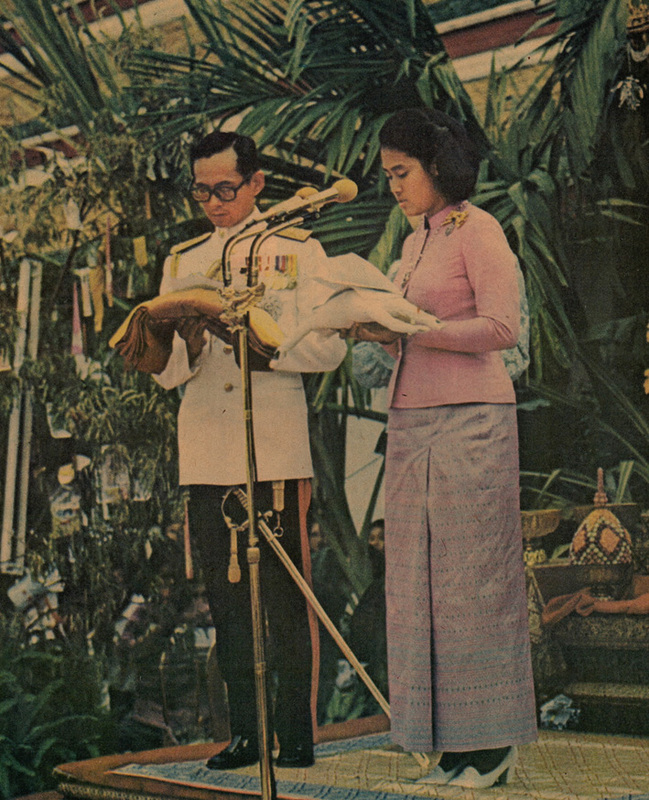 The princess was bestowed a title much like the British "Princess Royal" on 5 December 1977, which accorded her the same privileges as the Crown Prince, though she is not the Crown Princess as understood by many. As the next in line to the throne is in fact the Crown Prince, as well as being up to the government and the Royal Council to decide, thus any member of the Royal Family can in fact become the next monarch. In addition, the Constitution was also supposedly altered in 1974 to allow female succession as well. 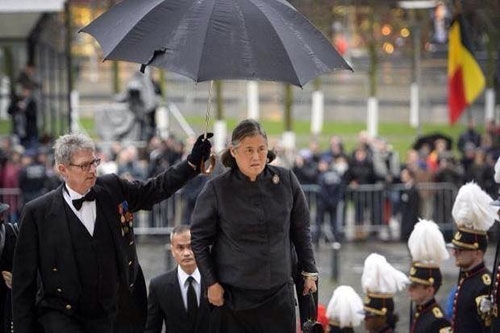 As mentioned earlier, the princess is one of the hardest working member of the Royal Family, and has since gain the love and popularity with the people in general, more so than any other members not including the King and Queen. She has also represented both the King and Queen abroad, keeping the friendship between the Thai Royal Family and other Royal Families around the world. I have come across many clippings of the Royal Family at my grandparents house, as old Thais don't believe in throwing away pictures of the Royal Family if they come across them. 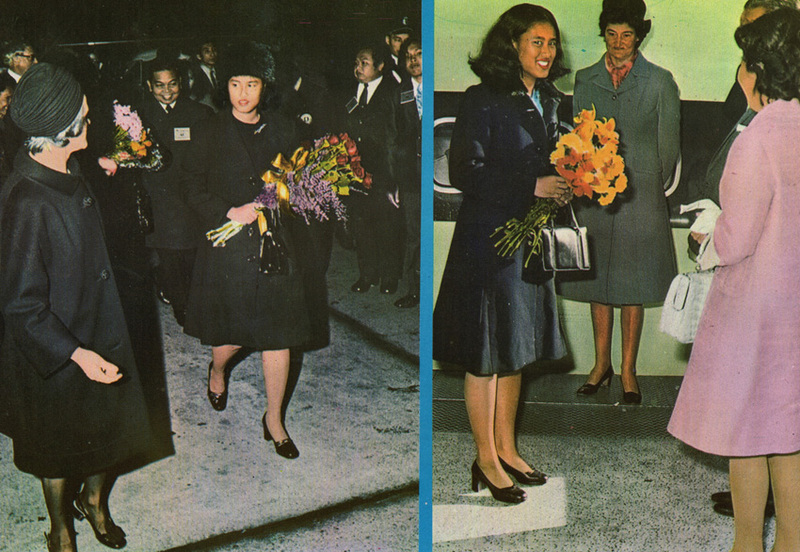 I thus put together small scans of some of the clippings of Princess Sirindhorn as a small tribute to one of the hardest working member of the Royal Family today. Through her tireless work, the princess has gained the love and popularity of the Thai people, and has shown what a Royal should do and how a Royal should act. A very Happy Birthday to Your Royal Highness! 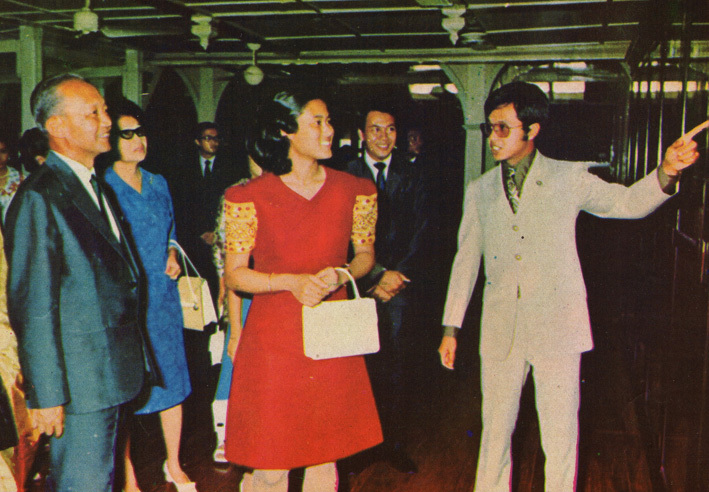 The princess was a part of the music group while studying at Chulalongkorn University, and at above left attending a meeting. 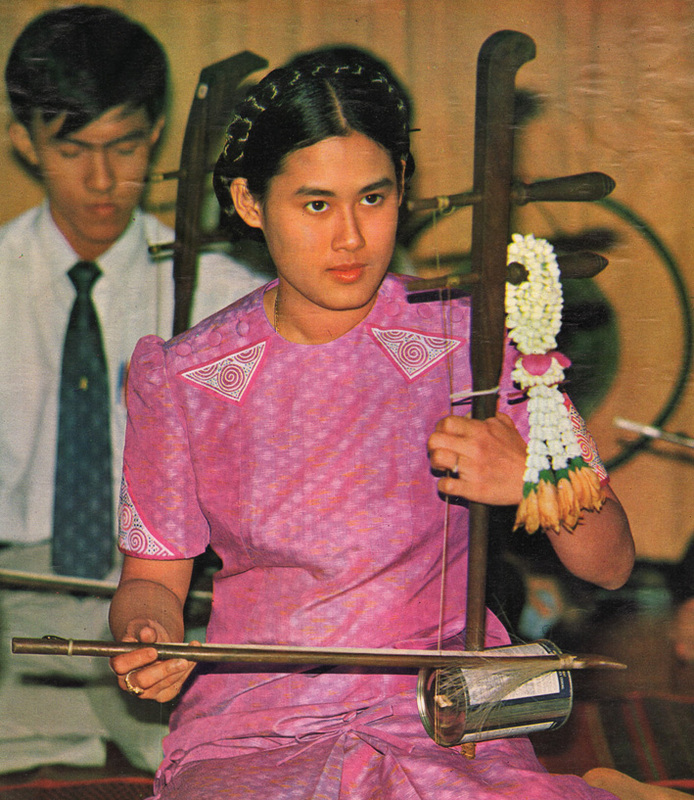 At above right, she is shown playing a Thai musical instrument. Notice the bottom of the instrument is an aluminium can instead of wood. It would seems that this was a hand-made one. She is known as a very down-to-earth person, and would not fuss over things, if they are brand names or made of expensive materials or not, as long as it functions.